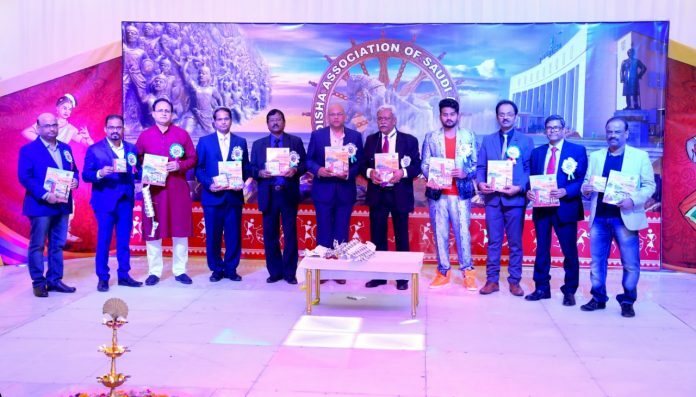 Bhubaneswar: Diaspora Association of Odias staying in the Kingdom of Saudi Arabia, Kalingan KSA, celebrated Utkal Diwas at Dammam with pomp and show on April 12. Over 300 families attended the function. Prominent Odia industrialist and Asmacs group chairman Dr Dev Mohanty was the chief guest and Ollywood actor Jyotiranjan Nayak the guest of Honor. The ceremony began with the lighting of a sacred lamp, followed by signing of Bande Utkala Janani. Odissi dance, songs and cuisine were the other attractions. On the occasion, the chief guest released annual mouthpiece Kalingan 2019 and praised the efforts by Kalingan KSA to create awareness about Odisha’s culture. Actor Jyotiranjan appreciated the members’ love for Odia culture and Odisha.